WHAT: On Saturday, April 20th, we're delighted to host an evening of soul-stirring music with a very special guest, Arun Bhatt. 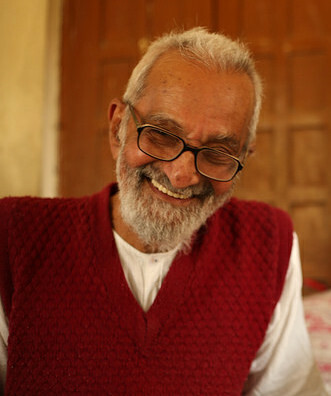 Arun Dada is an 86-year-old Gandhian, who spent 30 years working side-by-side with the legendary Vinoba Bhave. With decades of experience with front-line activism, penetrating insights into sustainable social change, soulful singing without any instruments, and a life lived by deeply "being the change", it is a rare honor to have Arun Dada among us. One of Arun Dada's deepest personal practices is through the power of song. Every day, he studies a bhajan (sacred chant). He keeps it with him throughout the day, week, or month, until he has internalized its meaning. He has memorized thousands of bhajans in this way, each of which carries reverberating truths that illuminate any situation with its ancient wisdom. Here is a recent story & song that Arun Dada shared with a few of us in a small gathering. To join, please RSVP below and you'll be sent an email with the logistics.